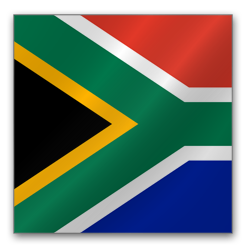 President Jacob Zuma has signed the market inquiry provisions of the South African Competition Amendment Act of 2009 (“Amendment Act”) into force today, 8 March 2013. The president set 1 April 2013, as the date on which section 6 of the Amendment Act will become effective. Section 6 empowers the S.A. Competition Commission (“Commission”) to conduct an inquiry into the general state of competition in any market in South Africa, without referring to specific prohibited conduct or a particular firm. Under this provision, the Commission may initiate a market inquiry when it has reason to believe that any features of an identified market may be distorting or restricting competition in that market, e.g., where a market is not functioning optimally, but where no prohibited conduct, such as cartel activity, has been identified. Section 6 also regulates how the Commission may conduct such market inquiries. More specifically, the Commission may use its powers to request information from firms but may not use its search and seizure (i.e., dawn raid) powers to gather information for a market inquiry. At the conclusion of the market inquiry, the Commission must publish its findings and may also make recommendations to the Minister of Trade and Industry or other regulatory authorities relating to any competition matters identified. Family feud: Which S.A. agency gets the first bite at the apple? Why is the South African government flexing its anti-fraud and corruption laws in the long-running investigation of potential bid-rigging in the construction sector, when it could perhaps more straightforwardly apply its competition law — and only that — to the alleged offences? In its role as the antitrust watchdog, the SA Competition Commission has been attempting to induce guilty co-conspirators to seek leniency or corporate immunity from prosecution for cartel offences under the country’s Competition Act in exchange for information on rigged bids for construction projects. Corporate leniency is one thing — personal liability for fraud or other racketeering charges is quite another… Individual employees or directors of the leniency applicants should beware the double jeopardy they are exposed to, personally, when their employers ink settlements with the CC: The National Prosecuting Authority is not using the country’s civil-offence based competition law to pursue the alleged wrongdoing, even though the accusations raised by them would fall rather neatly within the category of prohibited horizontal agreements among competitors (i.e., cartel conduct). Rather, the prosecution is applying the Prevention and Combating of Corrupt Activities Act, which — unlike the Competition Act — criminalises the illicit behaviour that allegedly took place. On the policy side, had the as-of-yet dormant Competition Amendment Act 2009 come into force and the competition law therefore criminalisation “teeth”, we here at AfricanAntitrust.com are wondering whether we’d be seeing parallel, ongoing dual-agency investigations on a scale such as this — or rather an initial battle for jurisdiction between the CC and the NPA’s Hawks? The S.A. family feud between the twin siblings, fraud laws and antitrust? The purely legal question of “double jeopardy”, raised above, would doubtless also figure in the debate who gets to enforce which law(s). One of the CC’s public-relations managers, Trudi Makhaya, recently hinted at the potential for greater enforcement powers of the Competition Commission, mentioning the “pending amendments to the Competition Act”. For now, the so-called “Construction Fast Track Settlement Project“ will have to keep churning out non-criminal settlements with offenders. This specific post will serve as a lead-up into the broader arena of criminalisation of antitrust law, which we will cover soon in its own category. It brings with it fascinating questions beyond those raised here (including, for instance, the potential for dis-incentives to corporate executives to seek leniency). As always, we welcome your opinion — this is a question that will sooner or later have to be answered. 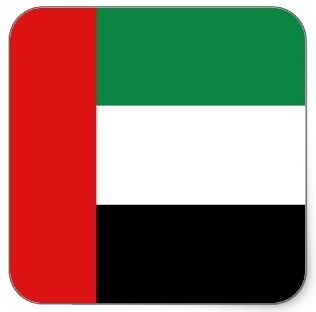 The first true antitrust law of the Emirates will come into force on 23 February 2013. “Federal Law No. 4 of 2012” (not to be confused with legislation relating to nuclear safety of the same title) was passed by the United Arab Emirates (“UAE”) government last October 2012. As to M&A, unlike its COMESA sibling, the law — fortunately — will contain yet-to-be-determined thresholds that limit the notification requirements to deals above certain market shares or deal values. Yet, the filing requirement is suspensory, and notifiable deals must therefore be put on hold until clearance is obtained from the Competition Regulation Committee (or presumably pre-authorisation has been received from the Ministry of Economy). The period for review permitted under the law is up to 90 days plus a 45-day extension. Penalties for breaches of the competition regime (items 1 and 2 above) include suspension of business activities and financial fines that range from AED 500,000 to 5 million [>$1.3m] or about 1m euros], with mandatory doubling of fines for recidivists; failure-to-notify mergers may result in similar fines, based on a 2-5% turnover scale or the same AED 500k-5m range, depending on ascertainability of turnover. The law also provides for a 6-month grace period. This transitional period for companies to come into compliance, seek a waiver for non-compliance, or face prosecution under the law, will end on 23 August 2013. Companies doing, or planning to do, business within the UAE may wish to review their existing business practices, market shares, competitive strategies, merger plans, and update their compliance programmes accordingly.